We make use of a wide range of data in our reports. The data visualisations on this page include interactive graphics to help you compare information and analyse data trends. 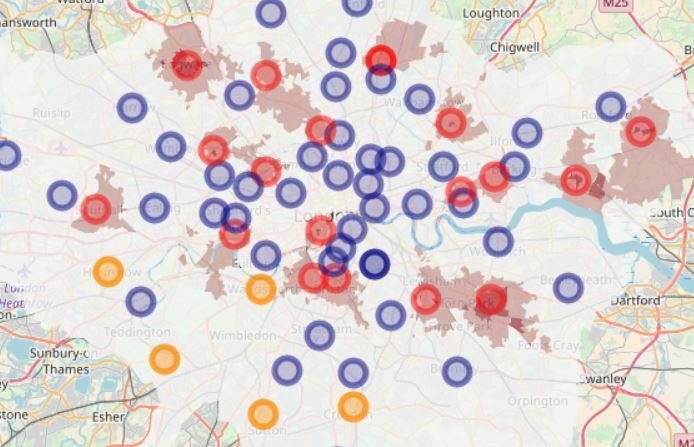 It provides an overview of planned changes to the jobcentre estate in England and allows exploration of the estimated impact that these changes may have on the time it takes for people to travel to their nearest jobcentre when using public transport. Explore financial information included in the Whole of Government Accounts from 2011-2015. Whole of Governments Accounts show what the UK government spends and receives, and what it owns and owes. Explore the broad trends identified by our report Homelessness and build a richer understanding of what they mean for different parts of the country. Find out how government departments score on diversity. Our interactive graphics summarise the findings from Cabinet Office’s People Survey. Housing is one of the government’s key priorities. 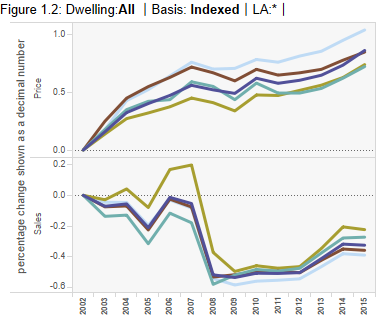 Explore the changes in the housing market in England and build a richer understanding of what they mean for different parts of the country. Explore the results of our surveys of NHS acute hospitals and clinical commissioning groups, showing their views on NHS England’s commissioning of specialised services. Explore the trends in capital expenditure and resourcing since 2010-11 and build a richer understanding of what they mean for different local authorities. Explore financial information for policy-related institutions that were part of the UK government’s interventions in financial markets. Explore examples where local public bodies have tried to make it easier for voluntary, community and social enterprises to bid for contracts. Explore the volume of cases by different categories of products and services, for example domestic appliances or leisure and entertainment. 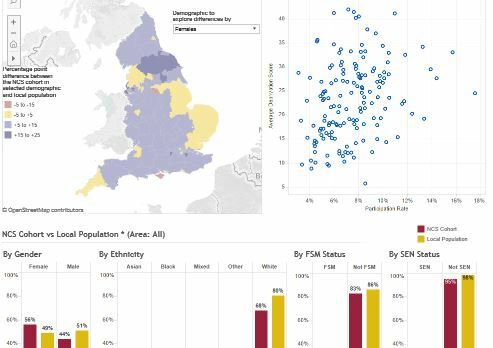 This dashboard provides an illustration of how well the make-up of NCS participants in each local authority matches that of the local population.